The Chamber's Membership Breakfast is held monthly, with Chamber members and community leaders in attendance. At each breakfast business and community leaders attend to build relationships and strengthen their business networks. This event keeps our members informed of current events and what is happening at the Chamber. Sponsoring a breakfast is one of the most coveted opportunities the Chamber has to offer. Having the opportunity to give away promotional items and marketing materials to each attendee, receive podium time within the program to present on a topic of your choosing to promote your business are all included in this enticing sponsorship package. 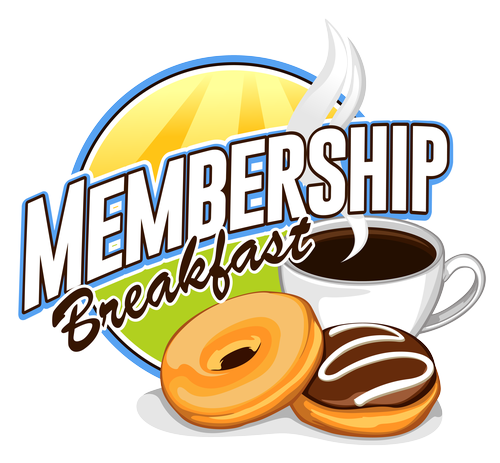 Non-members can only attend two Membership Breakfasts. Save $10.00 when you register online by 12:00 Noon the day before the event.